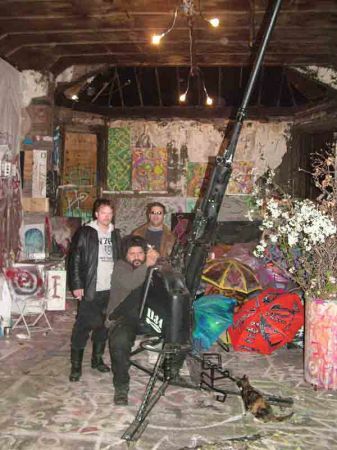 JOSH HARRIS surfaced in NYC – MARCH 2006 – just before he split for SPAIN. MATT ENGER, of EXPLODING SKY, caught the moment. JOSH HARRIS, that’s actually one of his own ‘trademark’ drawings. 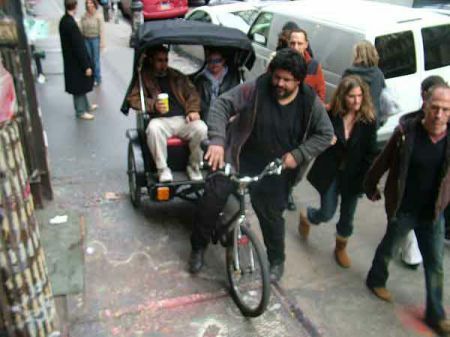 JOSH HARRIS and MARK ENGER, of EXPLODING SKY WORLDWIDE, in the rikshaw, ALFREDO MARTINEZ hits the pedals. ALFREDO MARTINEZ mans one of his big guns, MARK ENGER and JOSH HARRIS , watch. 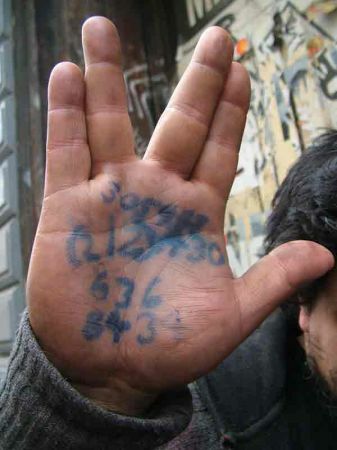 ‘artsquat’, Greene St, Soho. 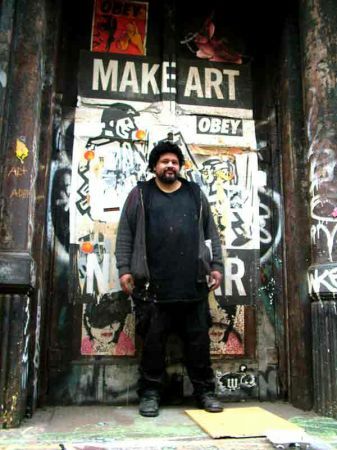 ALFREDO MARTINEZ, outside ‘artsquat’, Greene St, Soho. 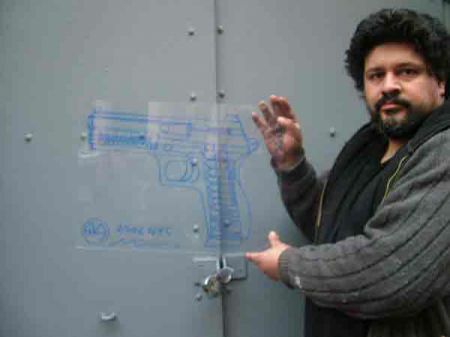 ALFREDO MARTINEZ, with one of his trademark gun drawings, outside ‘artsquat’, Greene St, Soho. more photos of the crew, at a Chinatown dinner, post soon.